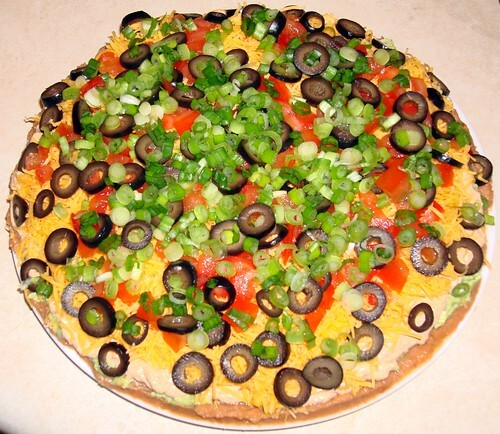 The Best 7 Layer Dip. 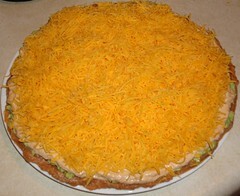 This 7 Layer Dip recipe that I’m about to divulge is simply the best. Even as I write this I’m wishing I had some. With at least a few hours in the fridge, the flavors become a medley of goodness that cannot be touched by any 7 Layer Dip in the West…or something. With a flattish dinner plate as a base, let’s begin the layers. Oh yeah, there’s totally SEVEN layers! 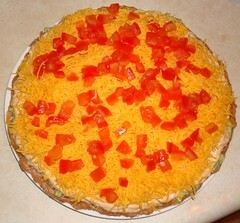 Tortilla Strips will take you furthest in leverage and coverage of all 7 layers in this 7 Layer Dip adventure! 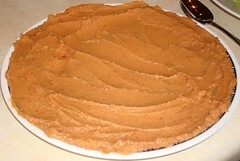 Spread bean dip evenly on plate. 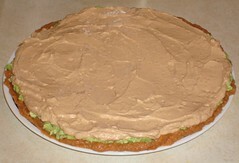 Mix avocado and cream cheese together and spread evenly over bean dip. Mix sour cream, Miracle Whip and taco seasoning until well blended. 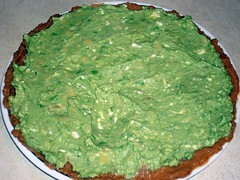 Spread sour cream mix over avocado. 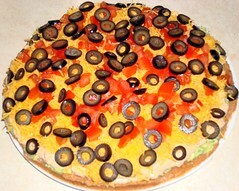 Sprinkle cheddar cheese over the top, then the tomatoes, olives and green onions. Before it gets too far past Sunday, I should post a couple Super Bowl thoughts of mine. Instead, The Steelers won their sixth Super Bowl trophy. The point? 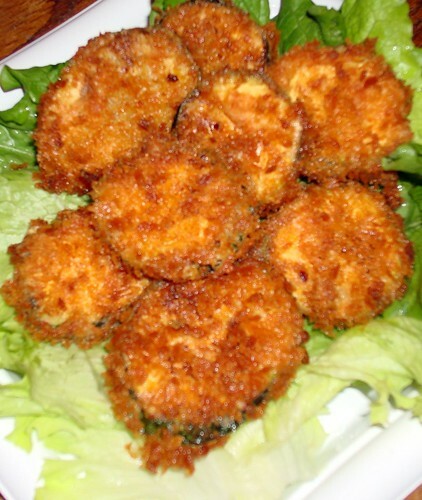 Sometimes some things go better than other things go, such as this batch of Panko fried zucchini I threw together. Pretty tasty if you ask me. Dipped in a little bit of Ranch dressing and you’re set. Your home team may now lose.